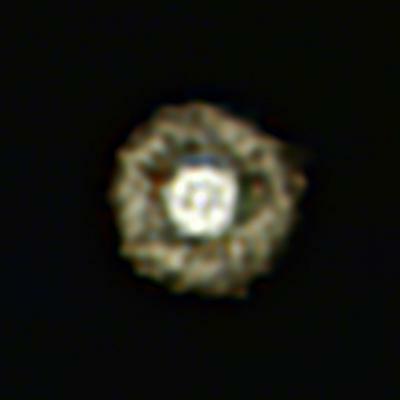 The "Fried Egg Nebula", a cloud of gas surrounding a yellow hypergiant star. Or rather, I’m driving to our nation’s capital to meet up with fellow scientists and science writers for the inaugural DC Science Tweetup today (warning: Facebook link). Between that and the ongoing saga of sending out resumes, I won’t have a “regular” blog post today, but here are some items for your enlightenment on this fine Thursday. Dark matter has its problems, since we don’t know what it is, but alternative theories of gravity run into their own difficulties when it comes to galaxy clusters. New results may actually rule out some alternative models, though many of the usual caveats apply. Isaac Newton was a notoriously feisty character; I often joke with my classes that he didn’t have friends so much as a group of frenemies. Here’s a story of his battle with Robert Hooke over priority for the gravitational law that bears Newton’s name today. Fermilab’s Tevatron collider has had its share of great discoveries in particle physics, but it is now shutting down. Scientists are wondering how to do high-energy experiments when the budget doesn’t exist to build ever-larger colliders; one possibility is to use muons, higher-mass cousins of electrons. Although many stars nearing the end of their life-cycle will appear red in color, that’s not a universal thing. The Very Large Telescope (VLT) spotted a yellow hypergiant star, known colloquially as the Fried Egg Nebula, whose surface would nearly reach Jupiter’s or bit and whose outer gaseous layers would engulf our Solar System. And finally, here’s a great use for your old floppy drives: use them to play music!